In this showcase we will be exploring the connections between traditional and contemporary, showing how the lineage of musical practice within multiple generations of diasporic communities has helped create innovative approaches to the wholly American genre of hip hop. As we struggle to define what Asian American music is, what better way of understanding the rich variety of sounds and styles than juxtoposing these seemingly different, yet interrelated musical genres. Co-directed by Guowei Wang and Lei Ouyang Bryant, the Chinese Music Ensemble performs traditional and contemporary music from different regions of China and the Chinese Diaspora. Students perform on traditional Chinese instruments including the guzheng (zither), erhu (bowed fiddle), pipa (plucked lute), yangqin (hammered dulcimer), dizi (flute), and percussion. Otherwise known as Mandeep Sethi, SETI X is a Los Angeles based emcee building bridges between California and India. A veteran of rocking the microphone and raising consciousness, SETI X is a versatile artist whose global reach has only strenthened over time. Most recently he opened up for Prophets of Rage, and when he isn’t on stage SETI X works as a teaching artist in LA County Juvenile Detention system. praCh Ly is a critically acclaimed artist whose music not only entertains, but also educates. 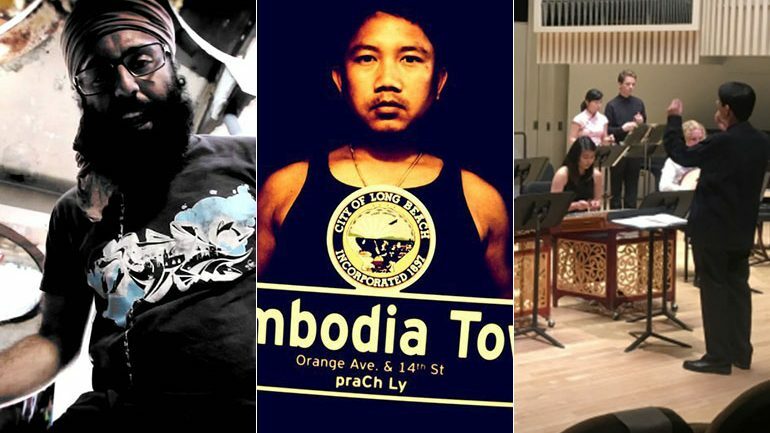 Outside of his music, praCh serves as the Co-Founder and Director of Cambodia Town Film Festival in Long Beach California. A published author and lecturer at many institutions, praCh recently made his debut as a feature film producer with PAAFF opening night film In the Life of Music. This is praCh’s second time at PAAFF, having performed in the 2016 Hip Hop Showcase.